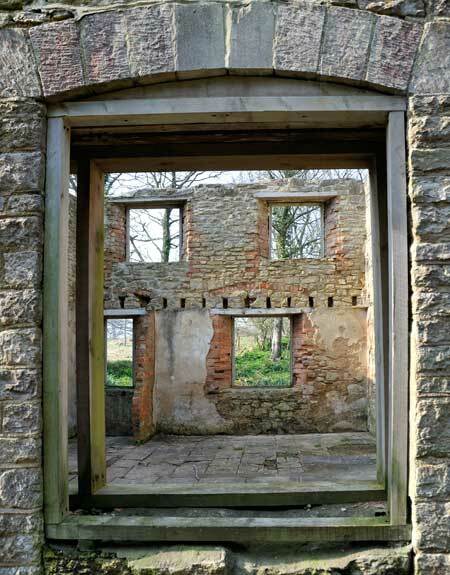 On our recent trip to Dorset we took the opportunity to visit the lost village of Tyneham. 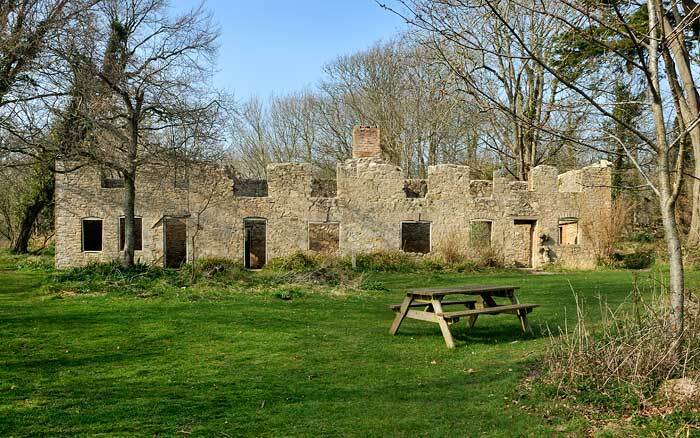 "Lost" in the sense that it was requisitioned by the War Office in 1943 to use the area for the D-Day preparations, but at war's end the villagers were not allowed to return and the buildings are now nothing but ruins. 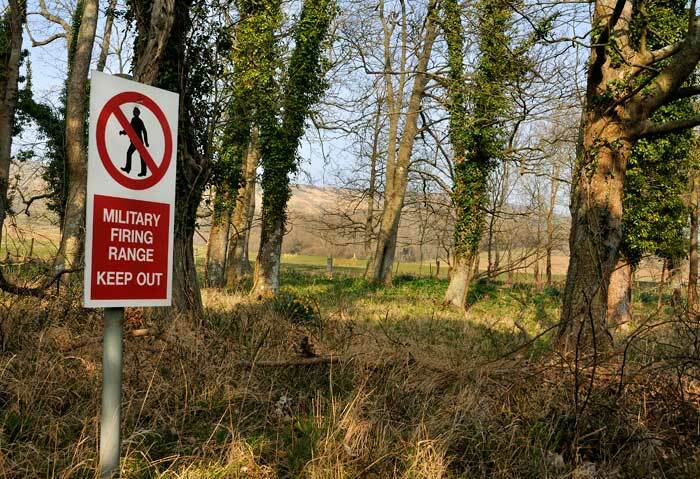 The area is still used by the Army as part of the Lulworth Ranges, the village is open to the public most weekends and during the month of August. 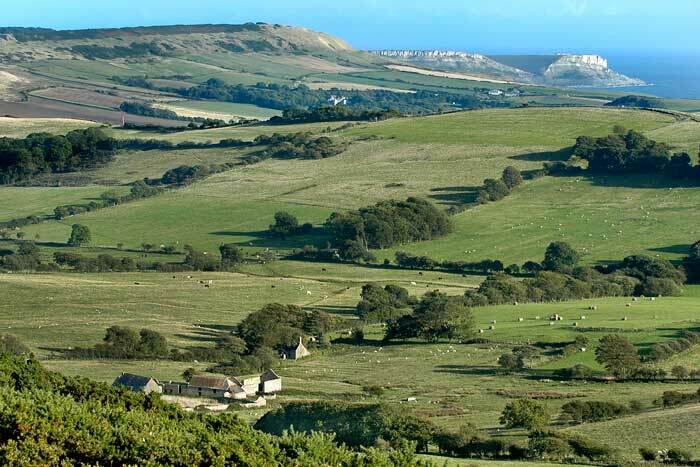 Tyneham valley is part of the Jurassic Coast, now designated a World Heritage Site. 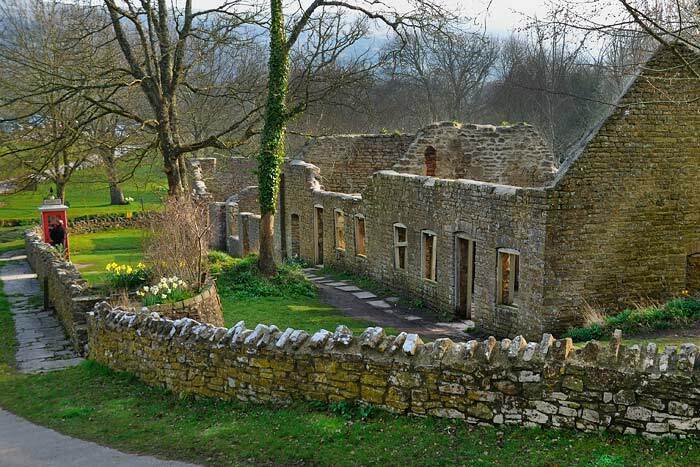 The village dates back before medieval times and was a small thriving community with a Parish covering 3000 acres. 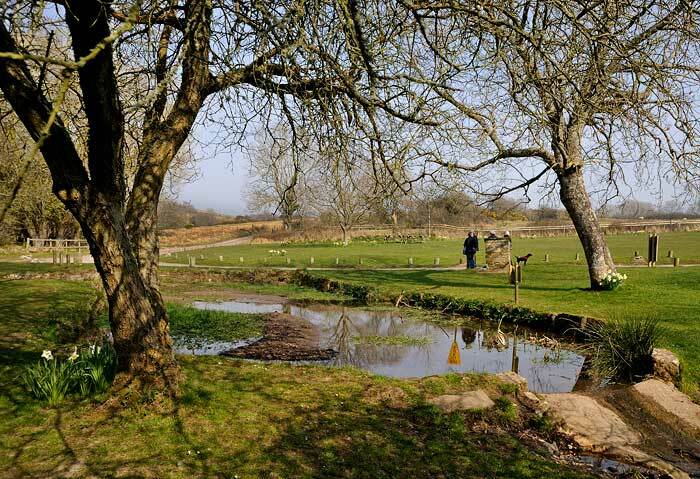 The village pond, which you see as you enter the village was a favourite watering place for the horses returning from a day's work to the farm. It was also reputed to be a good place for eels. 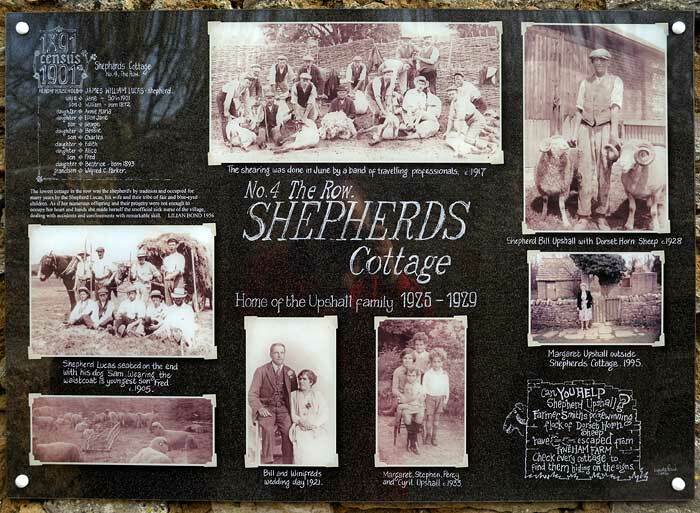 "The Row" was on the main street of the village and consisted of four cottages which housed the school mistress (nearest cottage) which was closest to the school; the post office combined with the village shop; the third cottage belonged to the farm and housed various labourers and carters, and the bottom cottage was traditionally for the shepherd - see photograph above. The Post Office/Village Shop was minute, with a five foot counter which served post office and shop. The shop sold everything from bacon & cheese, sacks of flour and soda, to needles, shoelaces, matches and lozenges. 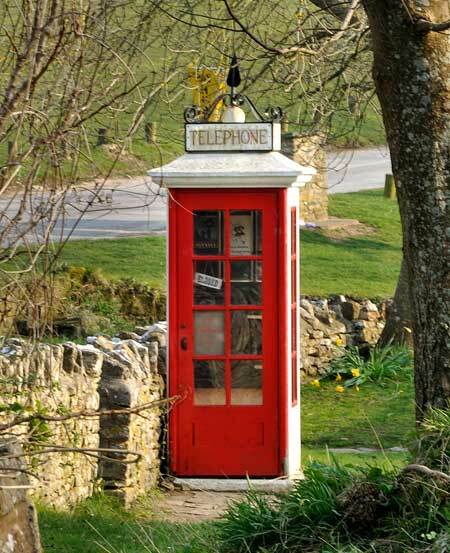 The telephone box installed not long before the village was requisitioned. Prior to that the only telephone had been in the post office and could only be used for the receipt and despatch of telegrams. 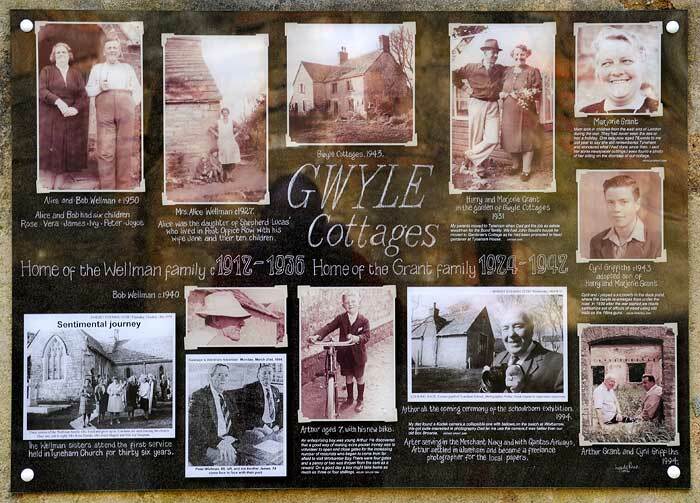 Gwyle Cottages. The cottages were built in the late 19th century of local stone, with stone tiled roofs to match the main street. The River Gwyle runs to Gorbarrow Bay. 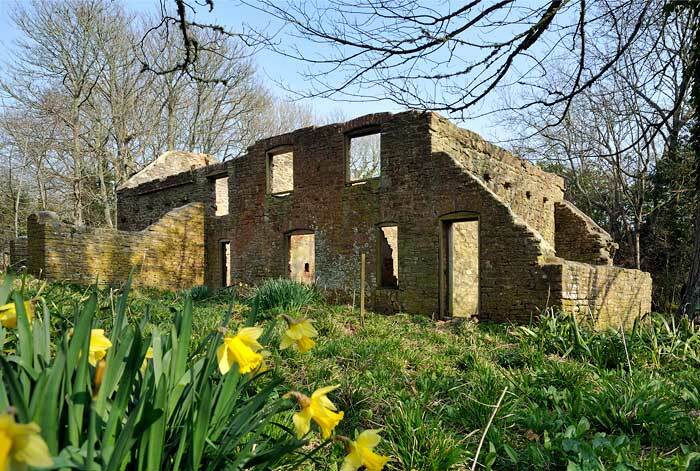 Laundry Cottages - where the laundry for Tyneham House was undertaken. The cottages face south presumably to make the most of any sun for drying. 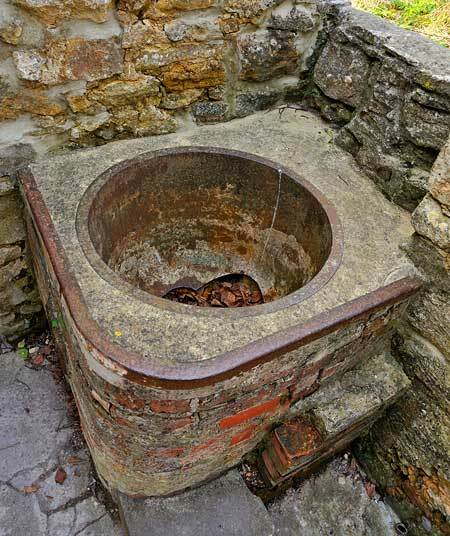 Below one of the large washing coppers is still there.